I like the MythCenter Theme, but I didn't like the background image. So I decided to make my own. 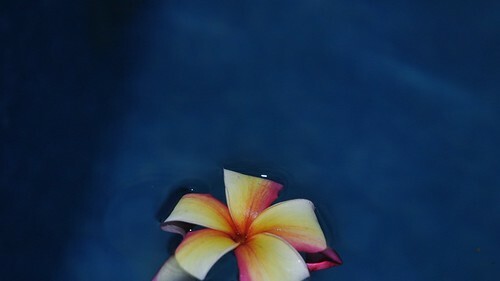 I found a photo that I took last year of a Plumeria flower floating in the water. The flower is slightly out of focus and that kind of helps with not being distracting. I'm just trying to find ways to give back to the community.